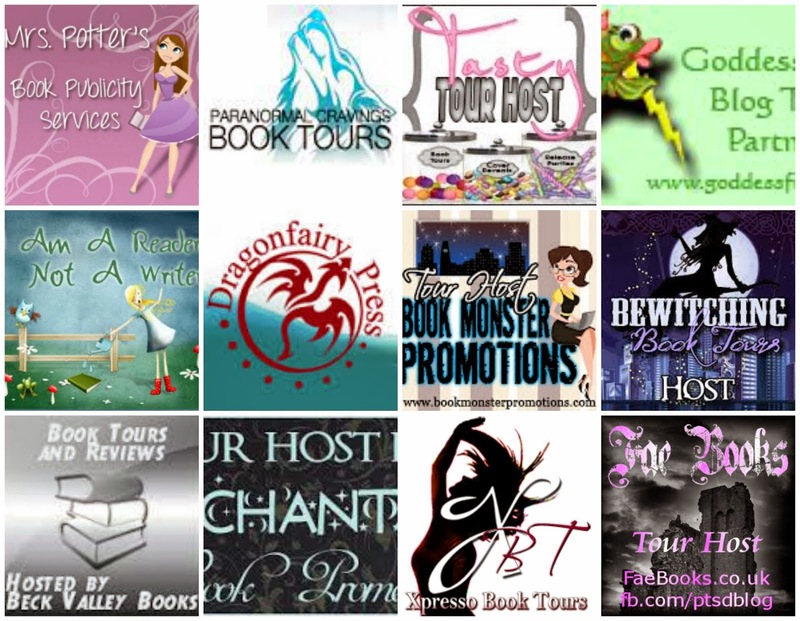 A Hop Over to Glitter Bunny! New Indie polish brands are popping up so frequently nowadays, its getting hard to keep track and be able to try them all. Facebook helps alot with special pages that inform you of new brands and where to go to get their polishes. One of these for me was Glitter Bunny, who is based in Israel, which is unusual straightaway! 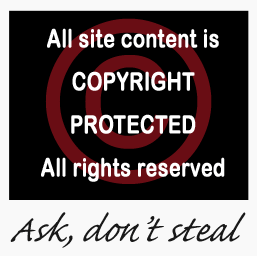 This helps us in the UK with postage as well with it being only $4.50, which is a huge difference to when you buy from across the other side of the world! 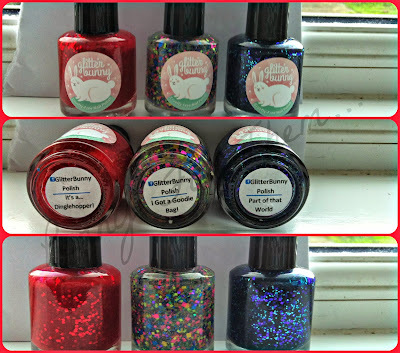 So after finding them and looking at their lush polishes i got in touch to get some of the pretties flying their way to me, and i got 3 luscious polishes to show you! 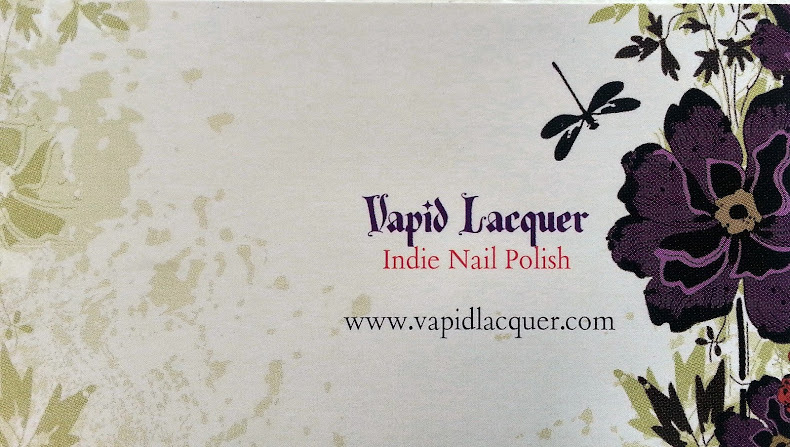 Each polish is a full 15ml size and prices begin at $10 each. The only slightly higher priced one is a holo at $11.50. A little about the polish themselves. The two actual polishes i got are very thick in comparison to some other brands, but Glitter Bunny inform you of this, so it is meant to be this consistency. If you do want it thinner, its perfectly fine and wont spoil the polish to add some nail polish thinner if you'd prefer it that way. It does take a little getting used to, the thickness, but once you have the hang of it, there's no problems. It only needed 2 coats due to the thickness. The best way to apply is with a full brush. The reason i say this, is i tried to use less and the polish on the nail dried very quickly so i ended up catching that polish and dragging it up the nail, leaving a bit of a disaster zone! So, full brush and start from one side to the next and it comes out fine and no problems. All the polishes have oodles of glitter that comes out readily with the brush with each coat and is actually spread evenly across each nail - i loved it! They're all very vibrant. 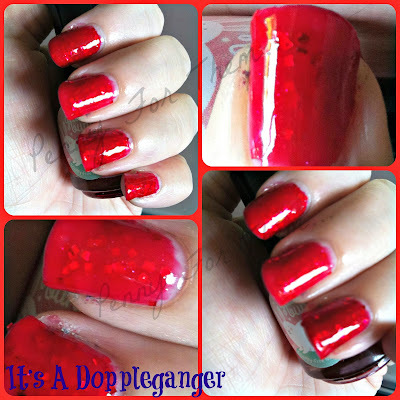 The red polish called "It's A Dinglehopper" for some reason reminds me of Dorothy's ruby red slippers she clicked to go home! The base colour is a perfect red and the pieces of glitter just add more gorgeousness to it! 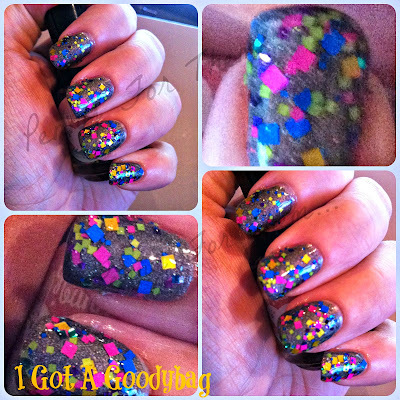 "I got a Goodybag" is a glitter topper and as its so multi coloured it would suit pretty much any base colour you chose to out under it. The pieces come out very easily, so no fishing around and having to add 4 or 5 times! I used 2 full coats to get the amount i have on my nails. The base colour is A-England's "Ascalon". 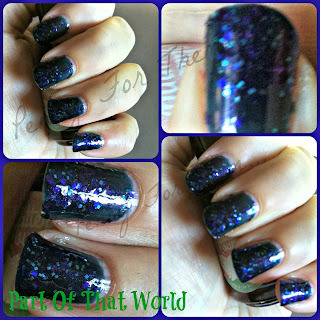 Lastly is "Part of That World", a gorgeous blue jelly, small pieces of glitter and bigger pieces of turquoise glitter. It has an almost purple vibe to it, whether that was that intended or not! But it looks lovely! 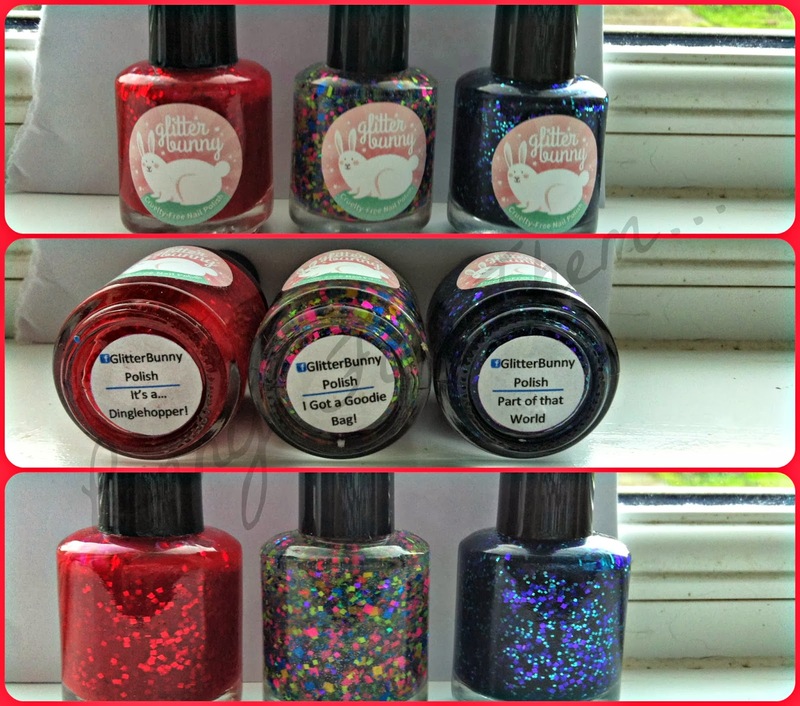 These are just 3 of the lovely polishes at Glitter Bunny, and personally, I'm itching to try "Rainbows on Crack" but then i love holos and seem to be drawn to them! As always happy polishing, and have fun investigating the Indie polish world, its a whole new world....and one heck of a (nice!) slippery slope!!! Such pretty colours! You have wonderful nails.